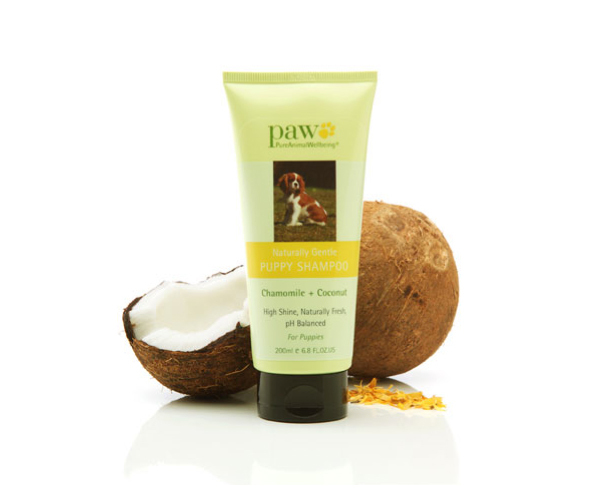 PAW Puppy Gentle Shampoo is a formula specifically developed to gently & effectively clean and nurture young skin. Recommended by vets across Australia, this shampoo provides a safe way to introduce bathing to young puppy skin. Hypoallergenic sulphate free cleansers which clean gently and effectively without stripping natural oils from the skin. Natural essential oils which nurture young skin & infuse the coat with a fresh pure scent. 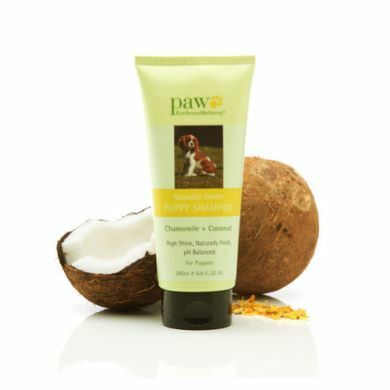 Use with PAW Puppy Conditioning Mist to nourish you pup's delicate skin from an early age. This formula is especially recommended for breeds more susceptible to skin sensitivities later in life, such as terriers, retrievers and german shepherds. Ingredients: aqua (purified Australian water*) *BP 2000 standard, lauryl glucoside (botanical source), disodium cocoamphodiacetate (from coconut), sodium lauroyl methyl isethionate (botanical source), cocamide MEA (from coconut), glycerin (vegetable), lauryl glucoside (and) stearyl citrate (vegetable base), cocamide DEA (from coconut), panthenol, cyamopsis tetragonoloba (guar) gum, sodium hydroxymethylglycinate, guar hydroxypropyltrimonium chloride (from guar), Simmondsis Chinensis (jojoba) seed oil, tocopheryl acetate, disodium EDTA, Cocos Nucifera (coconut) oil, citric acid, Citrus Aurantium Dulcis (orange) oil, , Anthemis Nobilis (roman chamomile) flower oil.